The Oscars are almost here – a time of year when everyone looks back takes some time to contemplate on their favorite movies and performances of the past year. From academy members to cinephiles to casual moviegoers, everyone has their own opinion about which work merits recognition. Best Leading Actress: I’m going with Brie Larson. She won the Golden Globe for Room. Her performance was raw, and powerful. She’s new, even though she’s been working for over 20 years. Ha! Room is just the sort of movie the Academy gives Oscars to. Best Leading Actor: I’m going with Leonardo Di Caprio. He’s overdue. His body of work is remarkable and he hasn’t won an Oscar yet. And he was incredibly good in The Revenant. Best Film: The Revenant, Alejandro Iñárritu won last year for Birman and, as crazy as it sounds, I think he could win again. 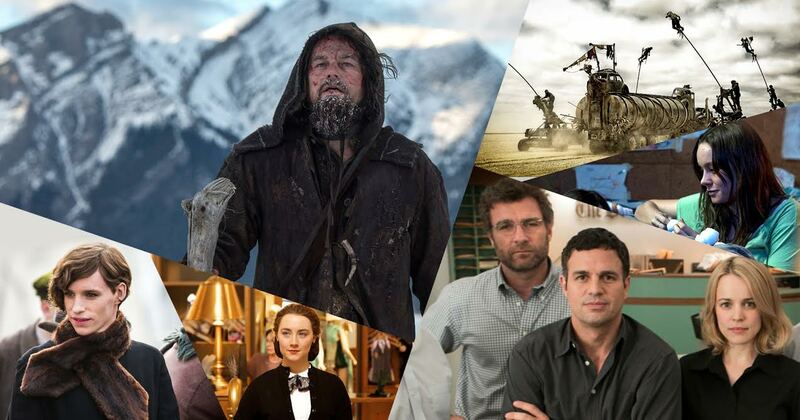 Have your own thoughts on who did the best movie work of 2015? Let us know what you think! Elizabeth Mestnik Acting Studio (EMAS) has announced that on February 22, 2016 it will move from its current location to a new studio located in North Hollywood, Los Angeles. Any inquiries regarding the new location can be directed to Elizabeth Mestnik by email (director@emasla.com) or by calling the studio at (323) 528-6280.